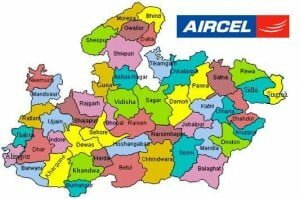 India’s 5th largest GSM service provider Aircel is all set to roll out its GSM Mobile Service in Madhya Pradesh & Chattisgarh telecom circle. We have some exclusive details regarding the Aircel’s Official Launch in MP CG telecom circle. The core GSM network (IND 405-808) is live in test mode in various parts of the state and commercial services is expected to roll out with some attractive tariff plans in next few days. Aircel will be the 7th GSM operator in MP CG circle, the five other operators are Airtel, BSNL, Vodafone, Idea Cellular, Reliance Smart (GSM) and Tata Docomo.